We had one of our funnest group dates yet this past Friday with some friends from church. Most are new couples who recently moved in, we’ve really enjoyed having them and having some fun with them! We went to dinner at a place called Sauce on the way to a corn maze. Sauce was really good, unique, and fairly inexpensive. The chicken Caesar pizza was amazing, we’ll definitely go back. THEN, it was off to the corn-maze to get our competition on! 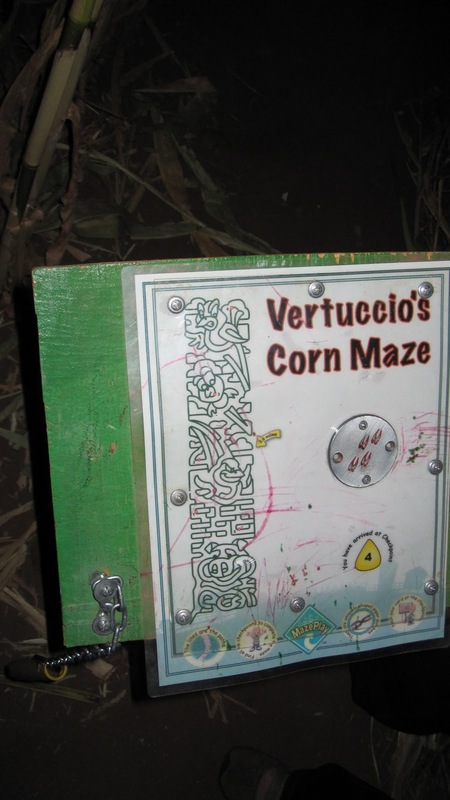 We went to a place in Arizona on the Mesa/Gilbert border called Vertuccio Farms. We had a buy-one-get-one Groupon, but even without it, it’s not too pricey. 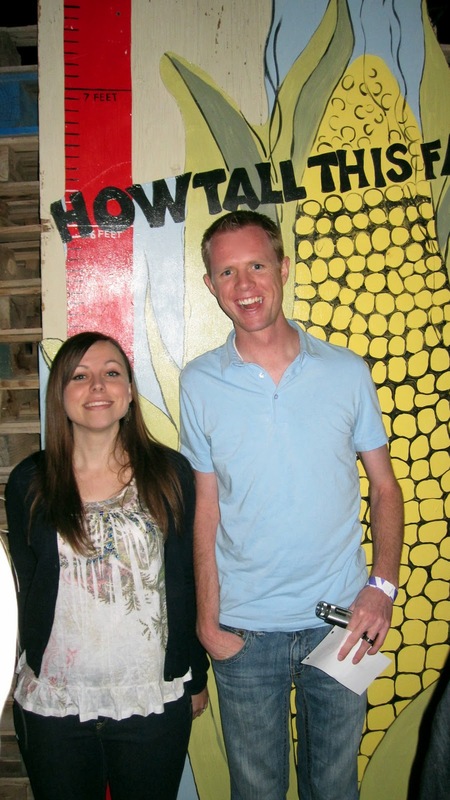 We like this place because they add a little twist to the typical everyday corn-maze. They do a CSI style maze with clues on how to solve a mystery and some years a murder in a very family-friendly style. And here’s one of the stations for the clues. We were almost fooled by the other team who had a member jump over the maze and come distract us telling us we lost and they were out of the farm participation in other activities while the rest the group ran out. It almost worked, and we sure had a good laugh about it! We then enjoyed the other activities on the farm and enjoyed some of favorite- Bahama Bucks which was needed after a long run! Such a fun night, and we are grateful to have so many cool new neighbors to date with! Also, I think I might have commented on the wrong post. After reading this one, I thought FUN! We love group dates and we had one at a corn maze recently too. Looks like a blast! My husband is from Mesa. I like it there!